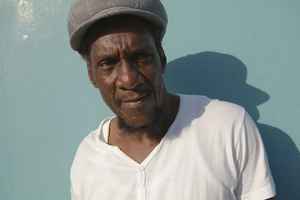 Jamaican reggae and dub musician, record producer, and label owner. Thompson was born October 12, 1954 in Kingston, Jamaica, and raised by his mother in Queens, New York. He began his recording career in New York with No Other Woman. Returning to Jamaica in the mid 1970s he recorded with Phil Pratt, only to return to New York to study engineering. Returning again to Jamaica, he worked with Lee Perry at his Black Ark studio, recording Kung Fu Man. He recorded with Bunny Lee which resulted in his debut album Don't Cut Off Your Dreadlocks in 1976. Thompson began producing his own material, including the album I Love Marijuana (1978) and its dub counterpart Negrea Love Dub, both released on Trojan Records. Although he continued to work as a singer, he became increasingly prominent as a producer, working with key artists of the late roots and early dancehall era such as Dennis Brown, Cornell Campbell, The Wailing Souls, Barrington Levy, and Trinity, with releases through Trojan Records as well as his own Strong Like Sampson, Thompson Sound, Thompson Sounds, Thompson's Sound, Thompson's Sound, and Thompson & Koos labels. Thompson's productions were used as the basis of some of Scientist's best-known dub albums. He has also produced albums for Eek-A-Mouse, Freddie McGregor, Tristan Palmer and The Viceroys.